I've had a few wild adventures in my younger days such as going down a crocodile infested river in a little sampan, sleeping in a wooden shack smack in the middle of the jungle and trekking into the mountainous regions of China to find an obscure ethnic tribe but when it comes to my clothes, I'm a bore. I stick to tried and true classics. I've been dipping my toes in leopard print accessories but somewhat reluctant to plunge headlong into similar patterned garments thinking that they're far too "loud" for my taste. Meanwhile, I've spent many hours gazing in admiration at photos of fellow bloggers who seem to wear leopard print clothes with such aplomb. After wearing my Louis Vuitton stole and Zara belt to death, I think it might be time for me I invest in leopard clothes and shoes seeing that they're so versatile and go with most things in my closet. That top is adorable! It would *almost* make me break down and wear leopard. Alas, as much as it looks great on others, I've decided leopard isn't for me. Python, however--I love that print! Do it Do it. Leopard print is soooooo amazing. I love all the animal prints at the moment. Leopard and python are my favs! I love leopard print anything! cute post! 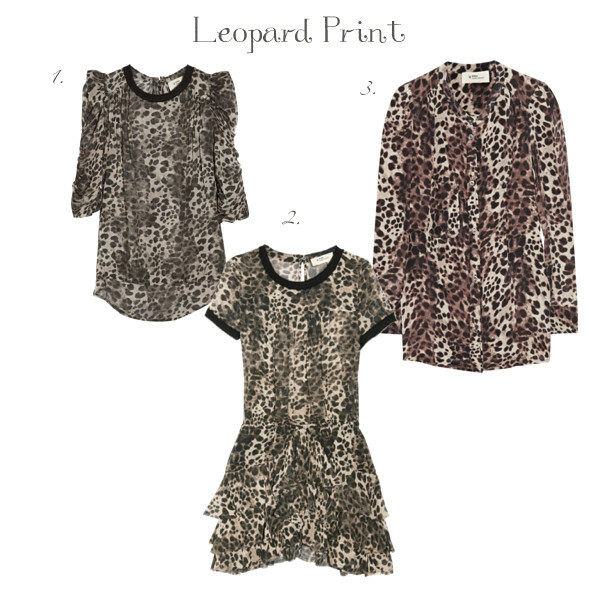 I love a touch of leopard print on others, but I've never tried it myself. I keep thinking that I'll start small- maybe a pair of leopard ballet flats? Take the plunge Marlene! There's some sharp stuff out there. A little goes a long way. Try it out. You know I love myself some leopard print! That dress fabulous. I say go for it and don't look back! It's always fun to step outside your comfort zone. Wow I love leopard everything possible! Great choices! Leopard print is amazing! I love this.